While much of the country is still covered in snow and frost, spring bursts forth in Lafayette with millions of azalea blossoms in spectacular shades of pinks, purples, corals, and white. Azaleas were brought to the Gulf Coast over two centuries ago from East Asia. In Chinese culture, azaleas are called “xiang shu,” which translates to “the thinking home bush,” because the shrubs inspire thoughtfulness and pensiveness. 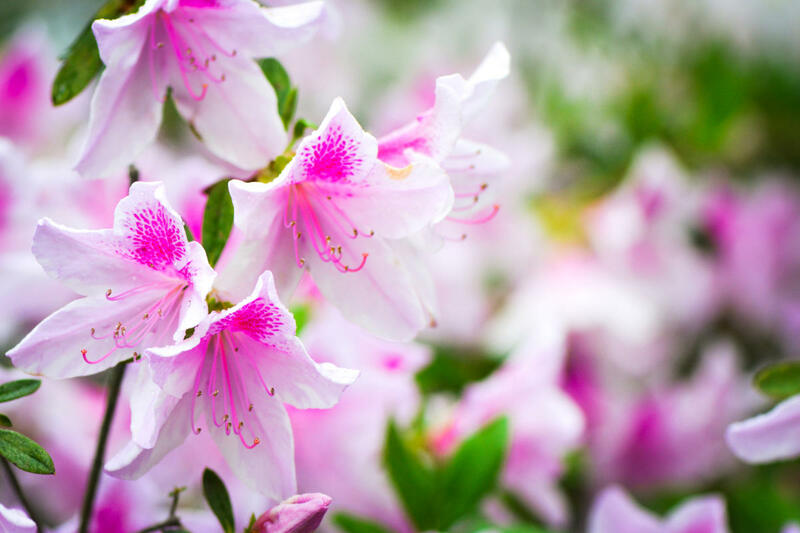 There are more than 10,000 named selections of azaleas and rhododendrons, but the predominant variety in Lafayette is the formosa azalea which blooms in lovely hues of lavender and fuchsia. In the 1930s, Lafayette became a popular tourist attraction with admirers coming from all over the country each March to witness the gracious blooms. Master Gardeners Cheryl Perret, Denise Lanclos, June Foal, Cindy Wiley, and other Scenic Lafayette members, have been working to revitalize the 1930s Azalea Trail. Just one year into local efforts, the Azalea Society of America designated Lafayette an Official Azalea City, one of only 16 nationwide. 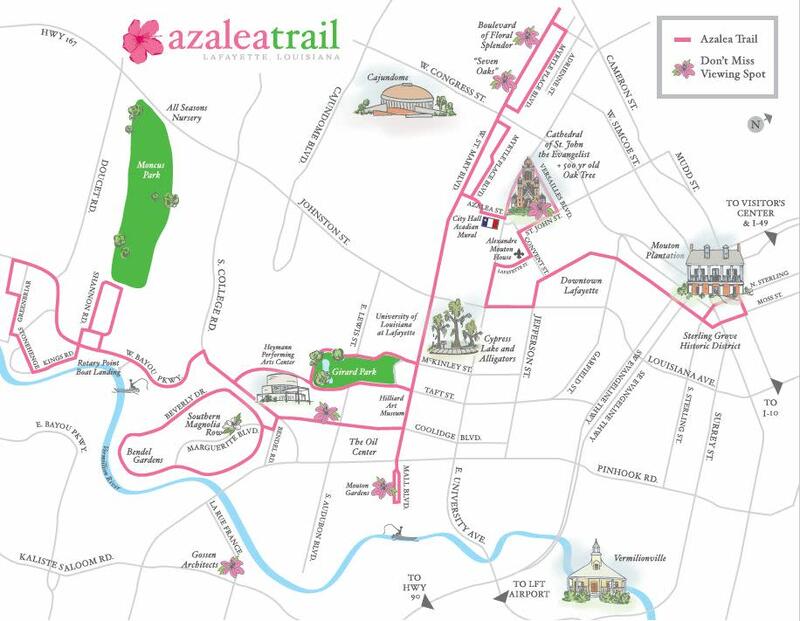 The Lafayette Azalea Trail begins at Lafayette Travel’s Visitors Center and meanders 20 miles through the city, past Southern homes and historical landmarks. One of the most architecturally stunning churches in the South, The Cathedral of St. John the Evangelist, is a “Don’t Miss Viewing Spot” on the trail. Just west of there, dainty blooms complement historic Southern-style cottages along Myrtle Place and St. Mary Boulevard. At the University of Louisiana and neighboring Girard Park, azaleas rest beneath majestic live oaks and accentuate Acadian homes designed by renowned architect A. Hays Town. If time allows, check out other spectacular displays at Rip Van Winkle Gardens and Jungle Gardens near Lafayette. For more information, visit AzaleaTrail.org.